in 2009 i boarded the FINGERS! Tour Bus and went on the road with the likes of Edie Fake, Lee Relvas, Scott Tankersly, and a slew of other unsavory gay types. We crossed the US on a mostly functioning school bus doing queer performance art. I did a solo piece about the human condition and judy garland called "Arranging the Object". 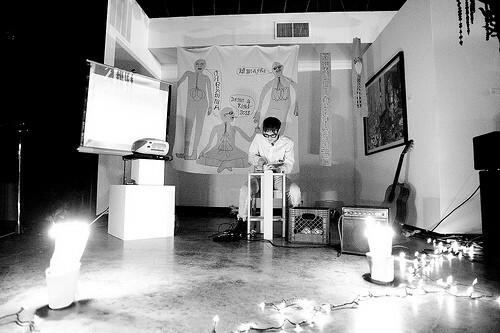 This picture above is taken during a performance of this piece at Women And Their Work Gallery in austin tx.